Moroccan Kefta Meatballs made with tomatoes and olives are simmered together in the slow cooker or Instant Pot in this easy and exotic Moroccan dinner. Whole30, gluten-free and Paleo. 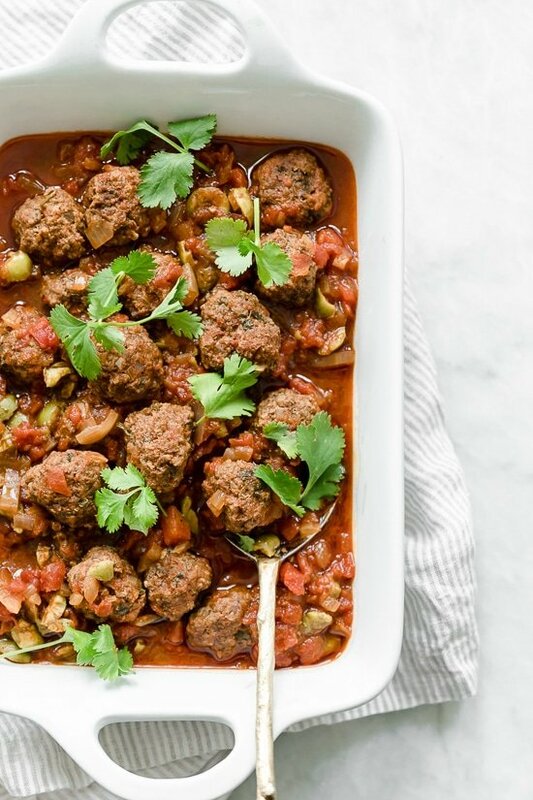 Traditionally called Kefta, this Moroccan meatball meal is usually cooked in a tagine (an earthenware pot with a cone-shaped cover) but you’ll find the slow cooker or pressure cooker works just as well. With cumin, paprika, cinnamon, parsley and cilantro, this Moroccan dish is highly spiced, but not spicy. I hope you love it as much as we do!